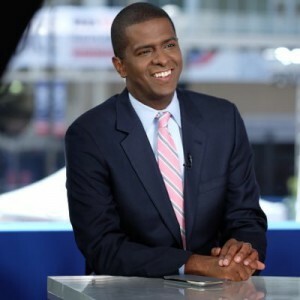 GRAMBLING, LA – January 24, 2019 – Today, Grambling State University announced CNN Commentator and history-making South Carolina Legislator, Bakari Sellers will keynote the University’s Black History Convocation at 11:00 a.m. on February 19, 2019. Sellers, an HBCU graduate, is well-known for making history in 2006 when, at just 22 years old, he defeated a 26-year incumbent State Representative to become the youngest member of the South Carolina State Legislature and the youngest African American elected official in the nation. In addition to his local work as a lawyer and legislator, Sellers also served on President Barack Obama’s South Carolina steering committee during the 2008 election; won the Democratic nomination for Lt. Governor in the state of South Carolina in 2014; and is a regular political commentator for CNN. Campus and community members are invited to attend this year’s convocation. 8:00 – 9:20 A.M. 8:00 – 8:50 A.M.
9:30 – 10:50 A.M. 9:00 – 9:50 A.M.
11:00 – 12:20 P.M. 10:00 – 10:50 A.M.
CONVOCATION 11:00 – 12:30 P.M.
For media access or more information, call (318) 243-5012 or email mediarelations@gram.edu. This entry was posted in advancement, campus, events, gramstory, press release on February 18, 2019 by Jovan Hackley.